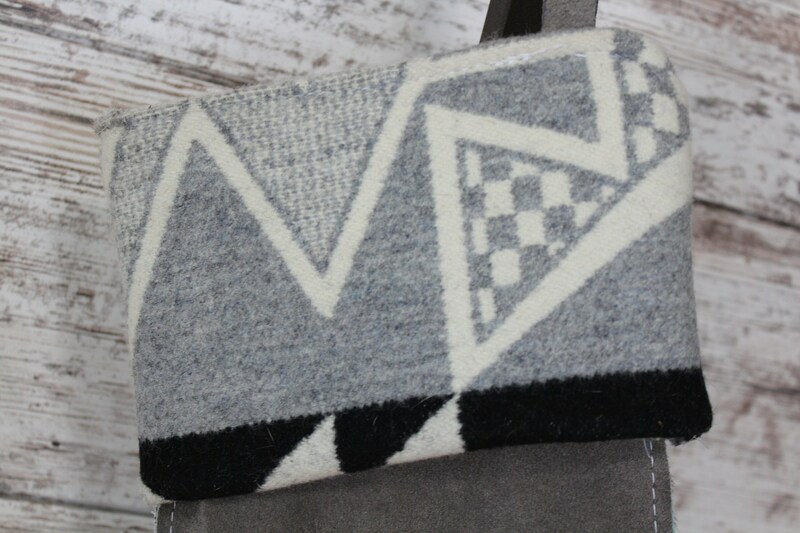 Made from an Exotic Gray brindle cowhide from Brazil. 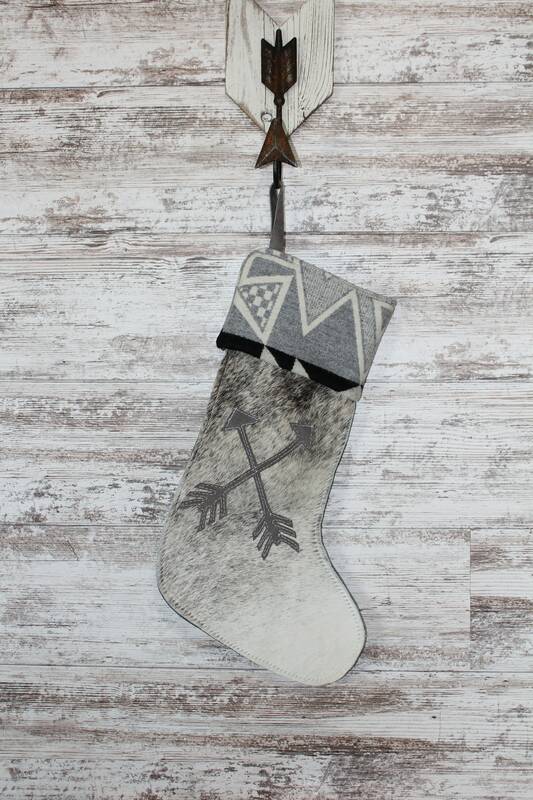 This is the large size and is open so you can place stocking stuffers inside. 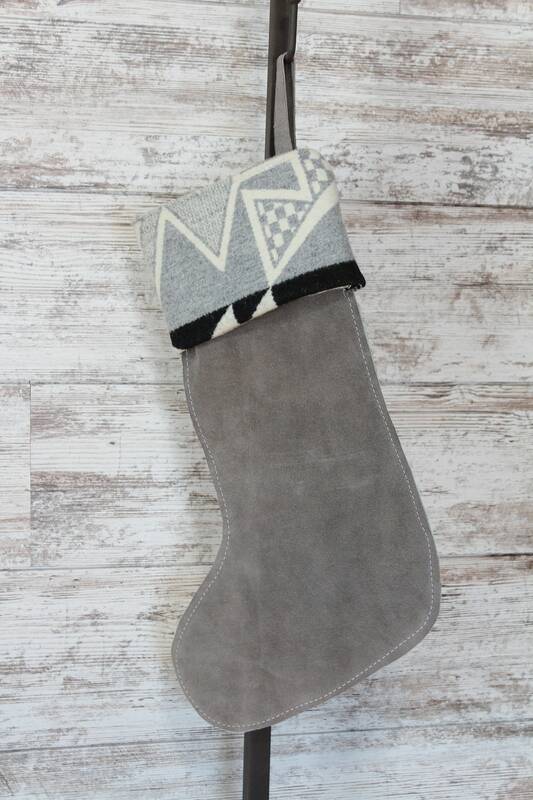 The top of the cowhide stocking is a Pendleton wool in colors of gray, black, cream, the back side of the stocking is gray suede. 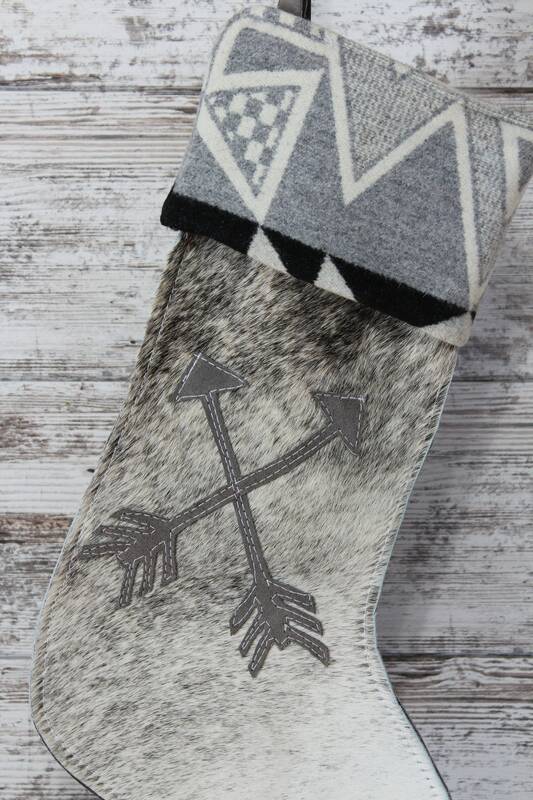 The arrow applique is cut from the same gray suede and is machine stitched.